Michèle Detaille has a Bachelor’s degree in Political Sciences at the University of Louvain and she comes from Belgium. She is currently in charge of several SME in France, Belgium and Luxembourg. In the early 80s, she worked as an advisor in the team of a Belgian politician, Jean Gol. She was also Mayor of Vaux-sur-Sûre, deputy and Vice-President of the Liberal Reform Party. After a political career in Belgium, she turned to the business world taking the marketing and sales management of Accord Services Benelux in 1988. In 1996, she took over the company No Nail Boxes which will be only a step towards the development of the ALIPA group, active in the field of packaging, industrial logistics and handling. 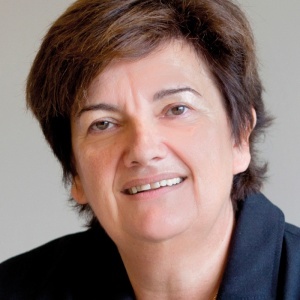 She is also a Board Member of Luxempart Company, of the Fedil (Business Fédération Luxembourg), of Chaux de Contern Company, as well as the UCL (Catholic University of Louvain) and Regent of the National Bank of Belgium.